If you are like me, I try to be as natural in what goes in my body as well as what is around my body. My cleaning products are as “earth” friendly as possible. This week I thought you might enjoy some natural cleaning ideas as you perhaps begin your spring cleaning. Is your cutting board getting an odor? Sprinkle baking soda on it, scrub it and rinse for a fresh smelling board! Are your hair brushes and combs in need of cleaning? Fill a bowl with warm water and about a teaspoon of baking soda. Let your combs and hair brushes soak for a while. Do you need to clean your enameled cast-iron or stainless steel pots? Mix a thick paste of baking soda and water and go a scrubbing. Sprinkle baking soda around your flower beds to get those bunnies to hop away! Let your vacuum suction some baking soda to be rid of internal odors. Does your pet’s bedding have an odor and it’s really not washable? Sprinkle baking soda on the bedding and let sit for 15 minutes or so and then vacuum up. Is your garage floor greasy? Sprinkle baking soda on it, scrub and rinse. Want to re-freshen your room? Take a spray bottle; fill with water and baking soda. Spray on your walls and countertops and wipe clean. Does your refrigerator need some sparkle? Using baking soda as a mild abrasive cleanser and then wipe with fresh water. Refresh and deodorize rugs by sprinkling baking soda on them; let it sit overnight and vacuum in the morning. Do you have clothes that need to be brightened? With your regular detergent, add one cup of baking soda to your load. Need to refresh your toothbrushes? Soak them in a mixture of ¼ cup baking soda and ¼ cup of water … overnight. Does your microwave need to be scrubbed? Take ¼ cup baking soda in a bowl of water and heat for 60 seconds. Then wipe the inside with a damp cloth. Are your Tupperware or plastic containers full of the odors from the food that what was stored in them? Take a cloth dampened with vinegar and wipe down the containers. Pour a cup of vinegar into your washing machine and run it without clothes for a cycle. You will have a refreshed tub. Is your tea kettle full of the minerals from your water? Fill with water and ¼ cup of vinegar and boil it. Rinse and rinse again. Is your bathroom feeling full of germs (especially after sickness through the family)? Put undiluted vinegar into a spray bottle and spray around the tub, sink and toilet. Wipe down with a clean, wet cloth. Is your shower head clogged from mineral build up? Remove the shower head and take out the rubber washer. Place in a pot with equal parts vinegar and water and boil. Then simmer for 5 minutes, rinse and replace. Do some of your faucets have lime build up? Make a paste of 1 teaspoon vinegar and 2 teaspoons salt. Apply to faucets and rub with a cloth. Rinse. How about those coffee mugs? Are they stained with coffee or tea? Gently scrub with equal part mixture of vinegar and salt. Did your little ones get carried away with the crayons and become an artist on your walls? Put some toothpaste on a clean cloth and gently scrub the crayoned wall and then rinse. Does your iron have a buildup of starch or minerals from your water? Clean the bottom with toothpaste and rinse. You can make your silver pieces shine by washing first, drying and then rubbing gently toothpaste into the tarnished areas. Is your cooktop ceramic? Try toothpaste to give it a shine. Try toothpaste to bring a shine to your chrome faucets or fixtures. Do your faucets have spots from hard water or residue from soap? Take a half of lemon and give a scrub. Not only will it shine but also smell delightful. Do you use air fresheners? How about tossing those chemical ones and create one with natural lemons? Mix a solution of water and lemon juice in a spray bottle and spray away. Get rid of those pesty ants, fleas or even cockroaches? 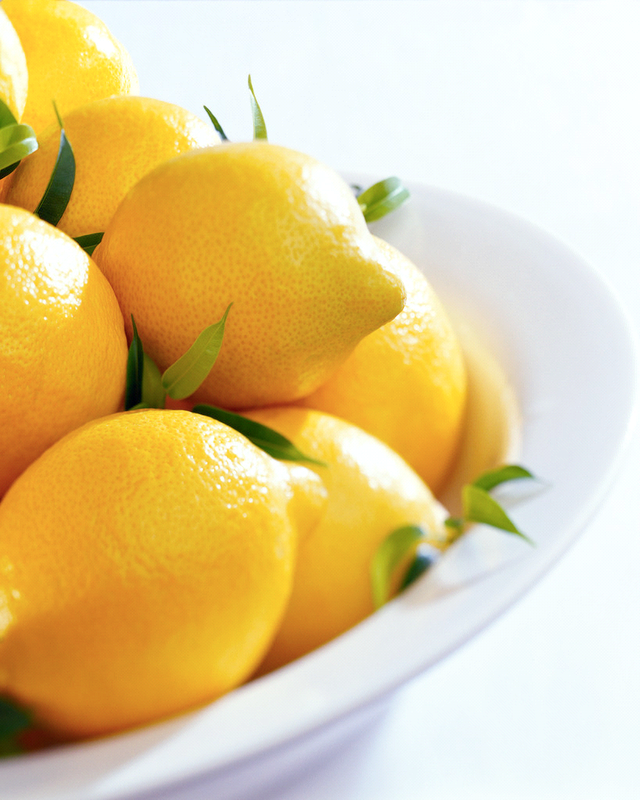 Wash your kitchen floor with ½ gallon of water and rinds and juice of 4 lemons. These pesty insects hate the smell of lemon. Would you like a fresh fragrance in your microwave? Place a half of lemon in a bowl and add water. Microwave on high for 5 minutes. Remove the bowl and wipe down the microwave with a damp cloth. Lemony fresh!! Do you have candles that have collected a lot of dust? Take a clean rag and dampen with alcohol and wipe them clean. Create your own ice pack. Take one part alcohol with two parts water in a Ziploc freezer bag. The alcohol prevents the water from freezing solid. Keep in the freezer for when needed. Use alcohol to clean your kitchen appliances (even your chrome). The best part there is no need to rinse. If you have to deal with pests in your garden, use alcohol to clean those garden tools to remove any lingering bacteria. You don’t want to transfer bacteria onto your healthy plants.